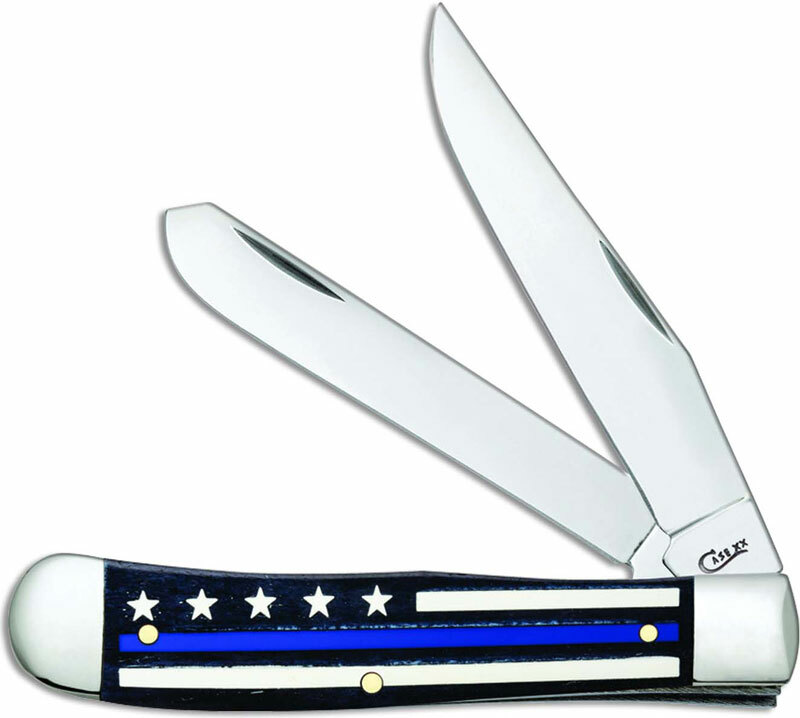 The Case Stripes of Service Series of knives is a tribute to first responders everywhere. The 06567 Case Stars of Service (6254SS) Trapper Knife features clip and spey blades made of Tru-Sharp Surgical steel with nail nicks for opening. The Smooth Natural Bone handle of this Case knife, 4 1/8 inches closed, has Black, White and Blue Line color wash embellishment and nickel silver bolsters. The Case Trapper Knife weighs 4.0 ounces. Made in the USA.